Hernandez Brothers Professional Landscape is your one source for professional lawn mowing, lawn care, lawn edging and lawn trimming services in the Rockford Illinois and surrounding areas. 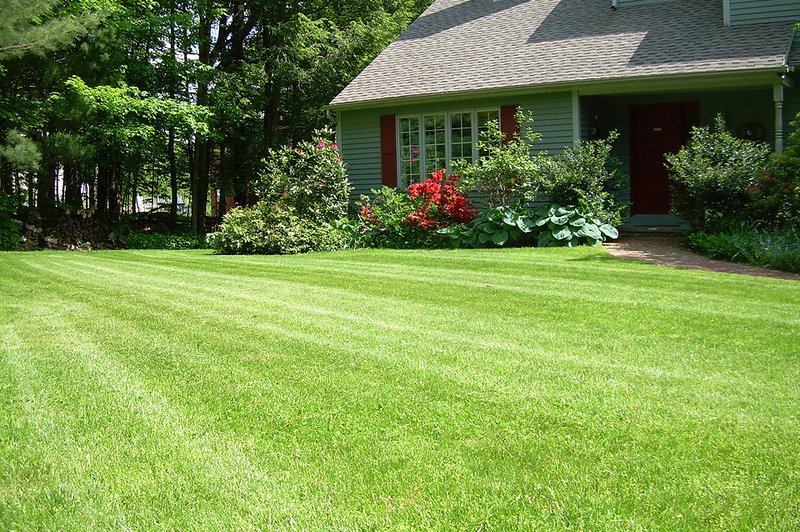 Nothing makes your home or business look better than a freshly-mowed, well-manicured lawn. The professional lawn care and lawn mowing professionals at Hernandez Brothers Professional Landscape are experts in the area of lawn maintenance and mowing. Serving commercial and residential clients in the Rockford Illinois and surrounding areas, we offer unsurpassed lawn services. Our experienced lawn care technicians take pride in their work. We show up with the right equipment and manpower to care for your lawn the first time and every time. With over fifteen years of experience in lawn care services, Hernandez Brothers Professional Landscape has a reputation for excellent customer service and quality lawn maintenance, mowing skill. You can depend on our lawn care professionals to maintain your home or business property with the same care we use to maintain our own. We are conscientious to use the correct equipment and lawn maintenance and mowing techniques to make your property look its best. With our fleet of commercial push mowers and commercial riders, we’ll use the right mower for your lawn. At Hernandez Brothers Professional Landscape, we use only quality lawn maintenance equipment to mow your grass. We keep our lawn mowing blades sharp and debris free for a clean-cut every turn of the blade. A sharp mower blade is important for optimum turf health, and at Hernandez Brothers Professional Landscape, we want to keep your residential or commercial lawn looking it's best.